With the Speedmax Classic, highly ambitious fans of the classic skiing style now also have a complete highend package at Speedmax level. 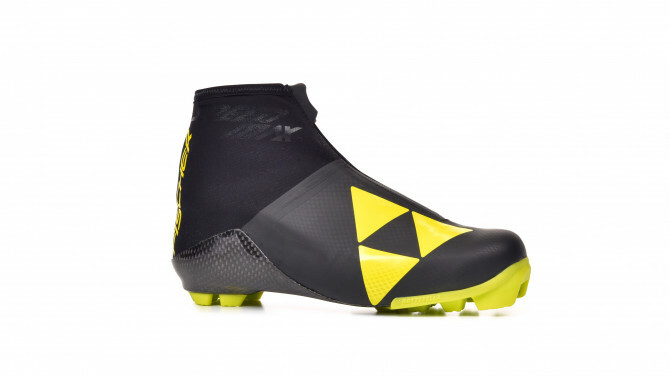 The boot has of course also been developed in close collaboration with the Fischer athletes from the World Cup. Thanks to the three-dimensional carbon construction with fibres that run diagonally in the sole. The maximum side stability this achieves with a balanced heel-to-toe rolling motion at the same time results in breathtaking power transfer. It is for good reason that people say: The champion takes it all! Outer sole, insole and side stabilisation elements manufactured from the same sheet of carbon. For previously unattained light weight with optimum stability power transfer.